Observation - Banded Snail- Cepaea Hortensis - UK and Ireland. Description: Thought I might as well put on one of the many photos I have of Cepaea Hortensis- I recorded them on the Evolution Megalab website as part of the OU course Darwin and Evolution (highly recommended!). 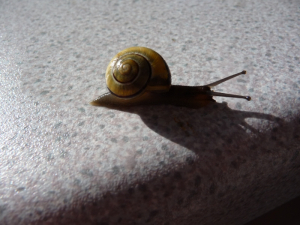 Thought I might as well put on one of the many photos I have of Cepaea Hortensis- I recorded them on the Evolution Megalab website as part of the OU course Darwin and Evolution (highly recommended! ).